I met with DT faculty member Dave Carroll to go over my work for Pigeon. We talked things technical, business, and academic. He thought TXTML may be a good prototyping tool for SMS sign up, especially if it could be connected to my current Voxeo prototyping. SMSs could be handled through some type of IMAP processing. If ad based, the ads could be contextual. (As creepy as it sounds) messages could be decoded, and if someone mentions the Eifel tower an ad for France travel packages could play or be generated from a google ad words ad. Again the idea of some customers paying to support others came up. I thought that perhaps at sign up users could sign up for a free account or a paying account which will support free acounts (similar to the Radiohead album sales and Good magazine’s newest subscription sign ups). Paying customers could perhaps get general or specific information about how their contribution is supporting users who can’t afford (e.g. “Your contribution this month has allowed 42 pigeons to be delivered”). New York Talk Exchange: the book - for statiscal data and essays on how international phone traffic is used by the extremes of the economic ladder. Dave thought that the best case scenario would be to have a working alpha by the end of this semester and a working beta by the end of next semester (”with 5000 users”). Jott is a phone service which will do all types of internet-y things such as update your calendar, send emails and texts, create to-dos and notes, and more. Jott connects to and explands lots of different existing web services, such as Facebook, Twitter, and Remember the Milk. They will also read RSS feeds to you. 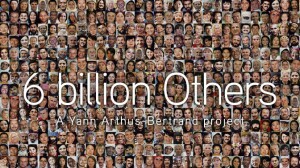 6 Billion Others is a ethnographic, online video project that weaves individual interviews together by linking their common exploration into human experience. 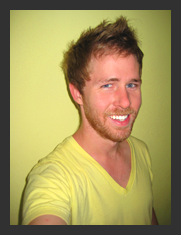 Kiva is an online tool for microloaning. With it, lenders can choose specific entrepreuneurs to support, who then work to repay the loan. When the loan is returned to the lender, they will hopefully cycle the money back into the sytem to another entrepreuneur. TextMarks provides free many to many text messaging services in the US. Free routed SMSs have an ad attached to them, but for a fee messages can be sent without the ad. They’ve considered many issues of interfacing with more complex menus with just SMS. Reliance Global Call, which recently called from Reliance India Call, provides low cost, international phone service. You have to sign up for the service online. Ken Banks is co-chairing a W3C group for mobile web for social development. A recent Economist article, “The Meek Shall Inherit the Web“, quite articulately discusses this new group and Internet delivery via mobile phones generally. It makes a case for the growing demand for mobile web content, covers past successes, and cautions that web access will continue to be mediated through the simple mobile phone interface for quite some time. It also advocates the use of business to ensure effective development and sustainability. In China, for example, over 73m people, or 29% of all internet users in the country, use mobile phones to get online. One conclusion from the workshop was that promoting social development through the mobile web will mean engaging with businesses. 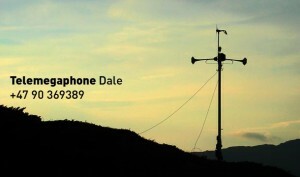 The Telemegaphone is loudspeaker installed in Norway, which projects a caller’s live voice “out across the fjord, the valley and the village of Dale below.” The project is certainly a different take on international communication.